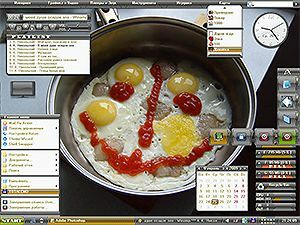 Classic Aston 1.9.6 Theme with AltDesk skin. Resolutions: any from 1024x768 to 2048x1536. I've put some *.PSD templates and a skin for WindowBlinds into the Theme file. PLEASE NOTE that 'Application Data' folder is hidden: to access to it you must set hidden files to be visible. WB skin is "as simple as a mincing-machine": to reduce its (WB skin's) size I've got rid of a lot of optional items. But it works and fits the Theme fine. share them to other people. this theme is not that good. hey if i download it i have a .PSD file where do i have to put it? 2 all: Thank you for your comment & rate. 2 RED: What's wrong to the theme? Will you send me detailed critical comment (item by item), please?